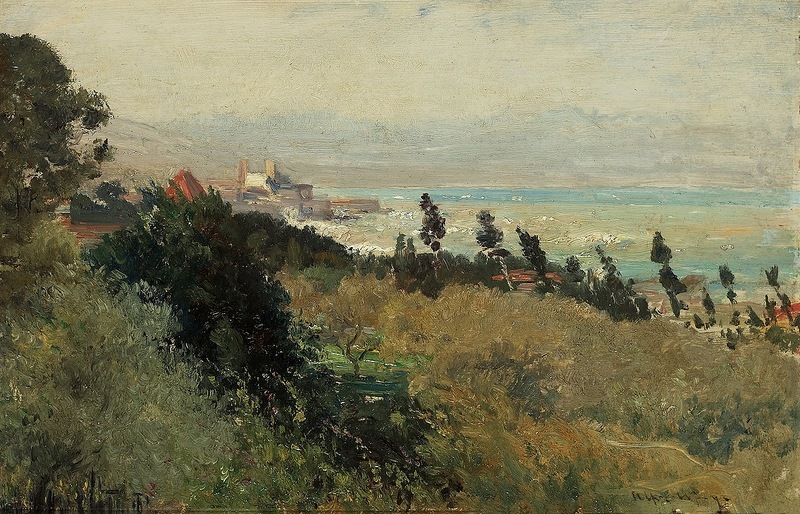 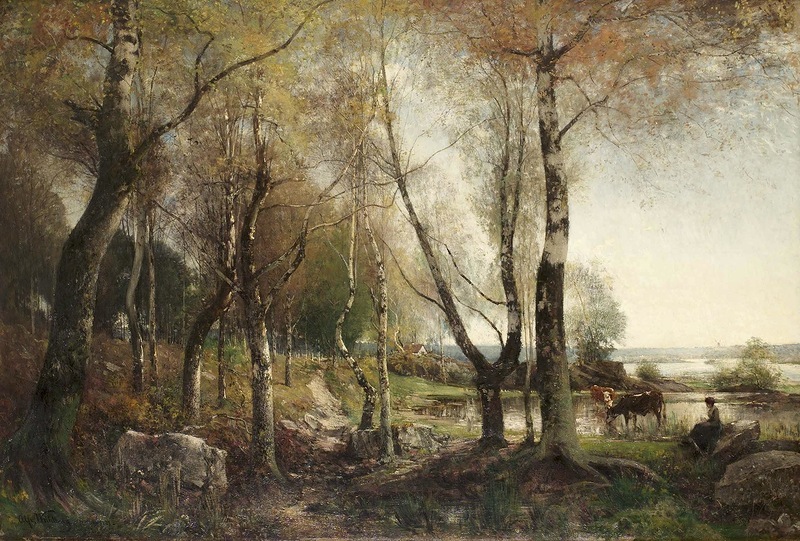 Herman Alfred Leonard Wahlberg (13 February 1834 - 4 October 1906) was a Swedish landscape painter from Stockholm. 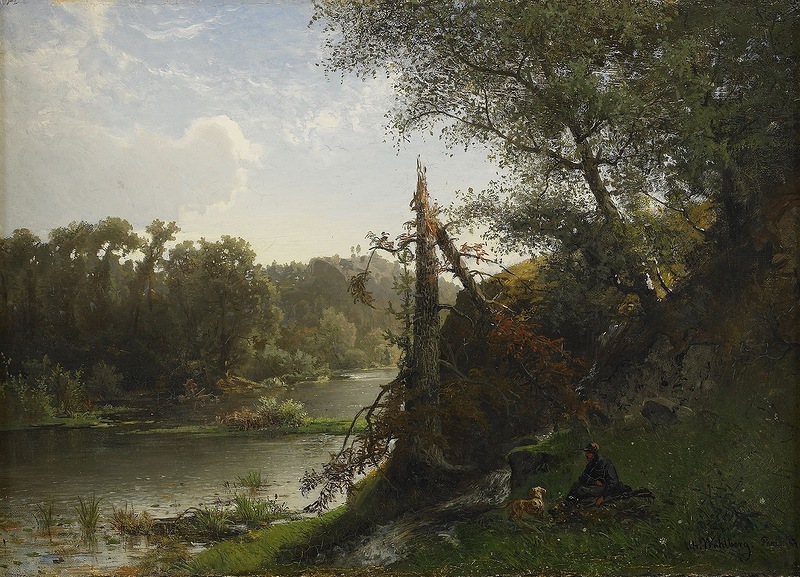 After receiving preparatory education at the Royal Swedish Academy of Arts, Wahlberg moved to Düsseldorf in 1857 to train-he was since associated with the Düsseldorf school of painting. 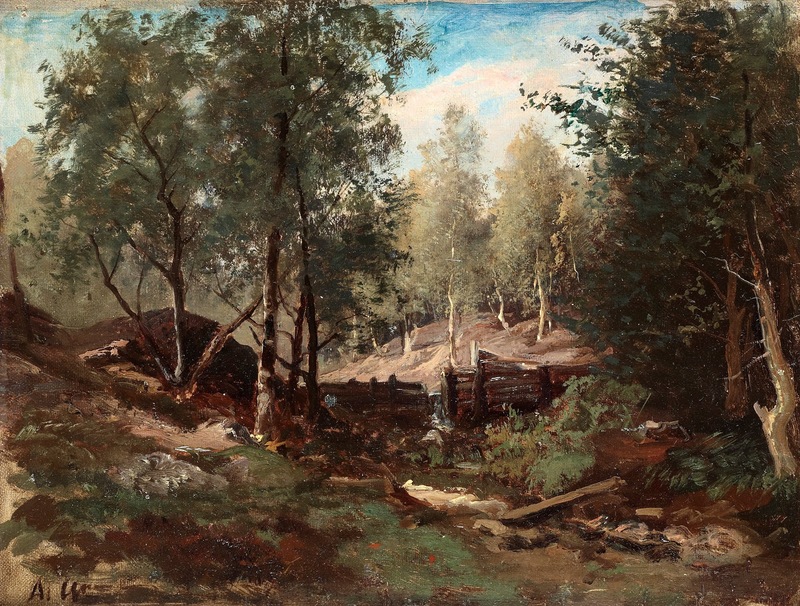 He returned to Stockholm in 1862 and painted Svenskt insjölandskap från Kolmården (1866), which became very famous and was displayed at the National Museum of Arts. 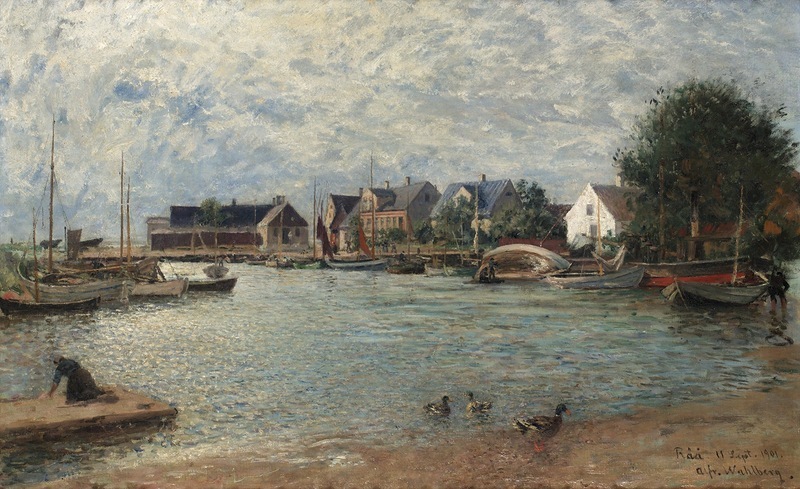 Wahlberg moved to Paris in 1866 and displayed two paintings at the 1868 Paris Salon. 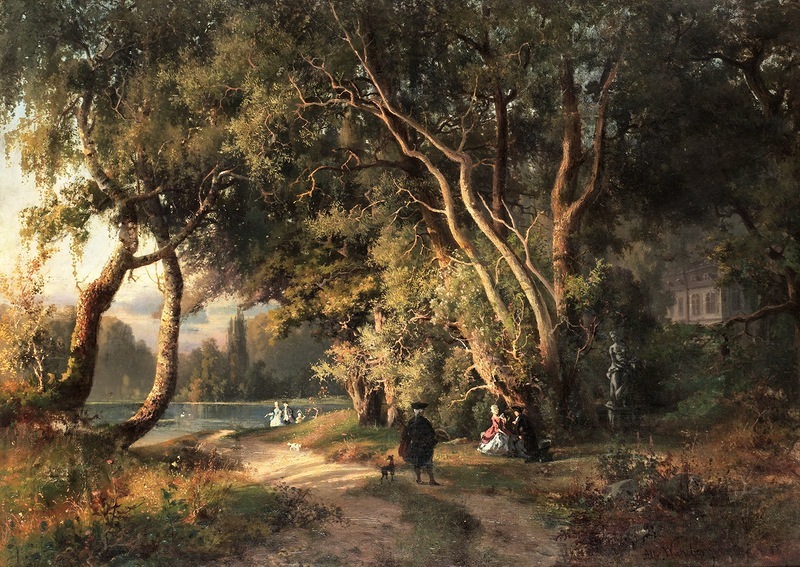 He became successful in Paris and was awarded with medals at the Paris Salon in 1870 and 1872. 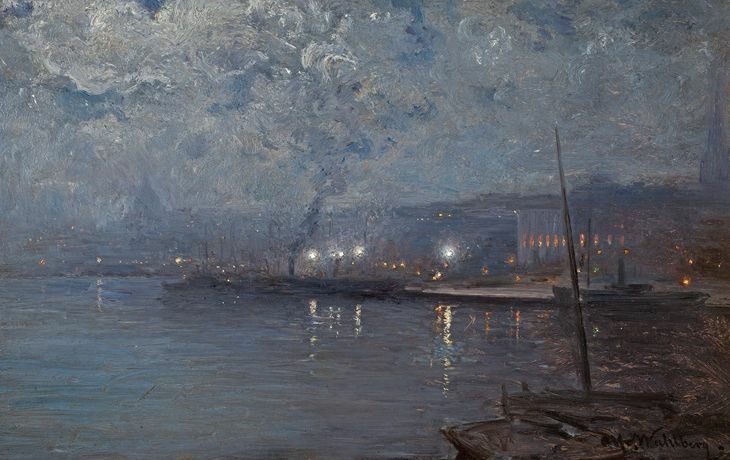 At the 1878 World's Fair in Paris, Wahlberg was recognized with a first class medal. 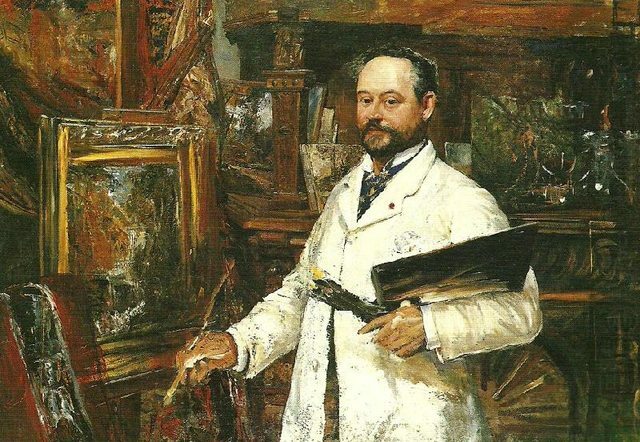 Alfred Wahlberg was born on 13 February 1834 in Stockholm, Sweden. 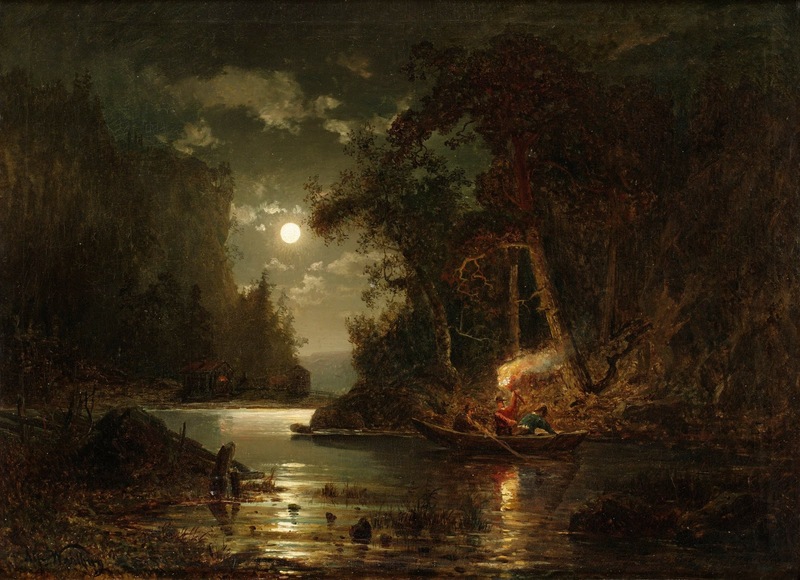 His father was a painter and his mother worked with carving. 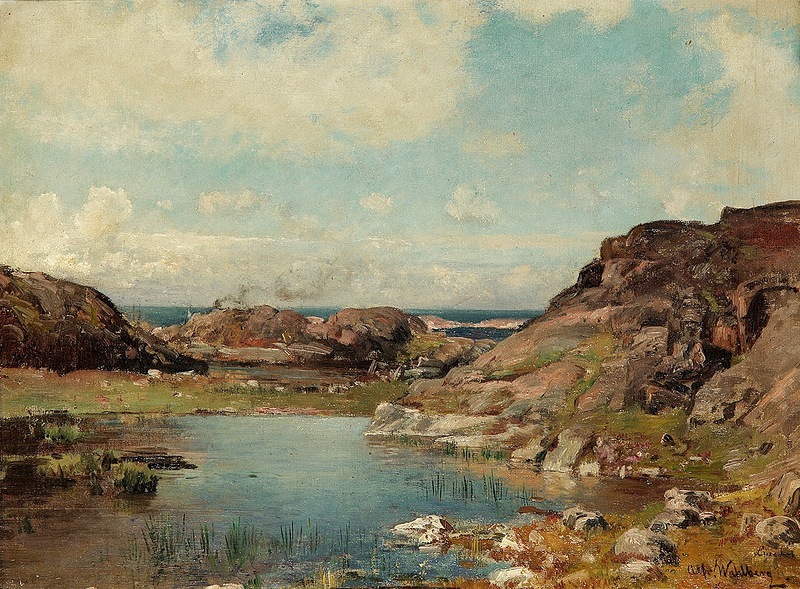 Wahlberg learned his father's profession as a child, but became a student at Royal Swedish Academy of Music after showing precocious musical talent. 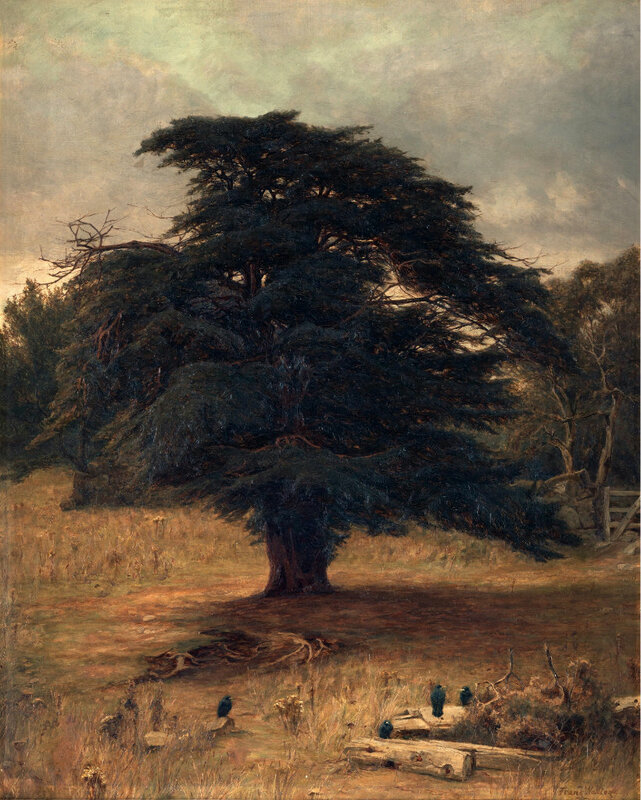 He studied piano and clarinet at the academy. 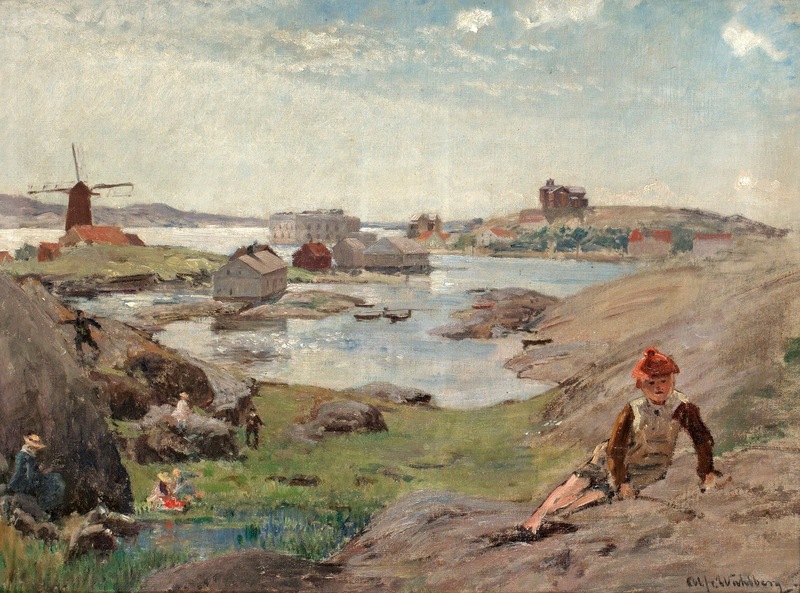 After finishing his studies, Wahlberg joined the orchestra Göta gardes musikkår, and earned money (25–50 öre per hour) by giving piano lessons. 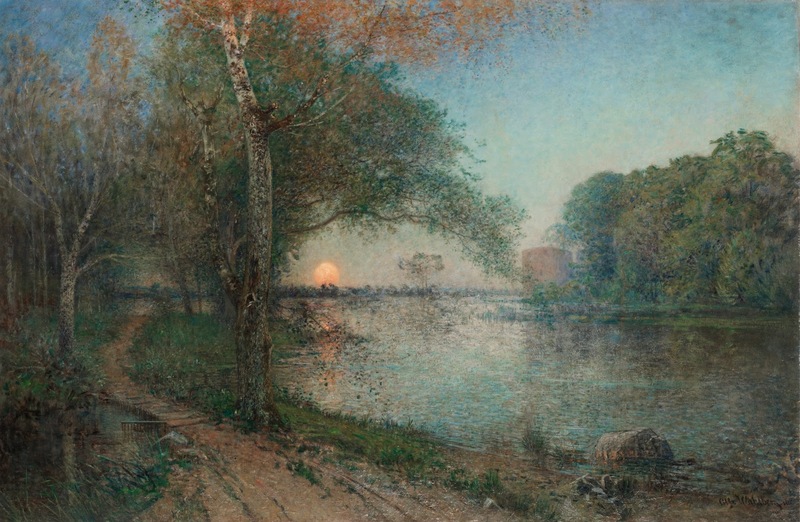 He received preparatory education at the Royal Swedish Academy of Arts at the same time, although he never became a real student there. 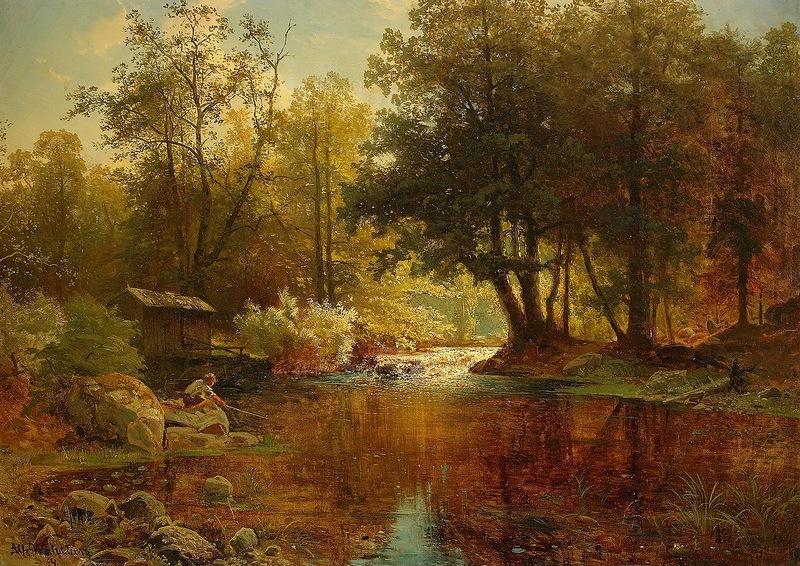 Wahlberg enjoyed painting and decided to pursue his father's profession. 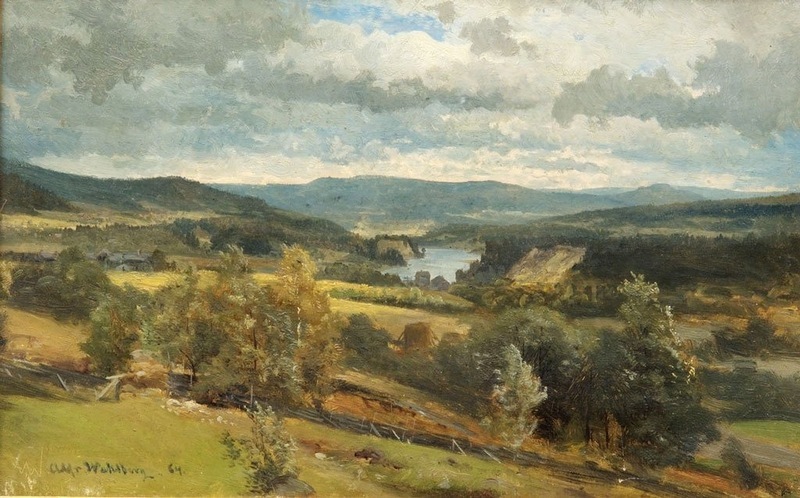 He started by drawing landscapes, and sold a painting for the first time in 1856 to Konstföreningen (English: The Art Union). 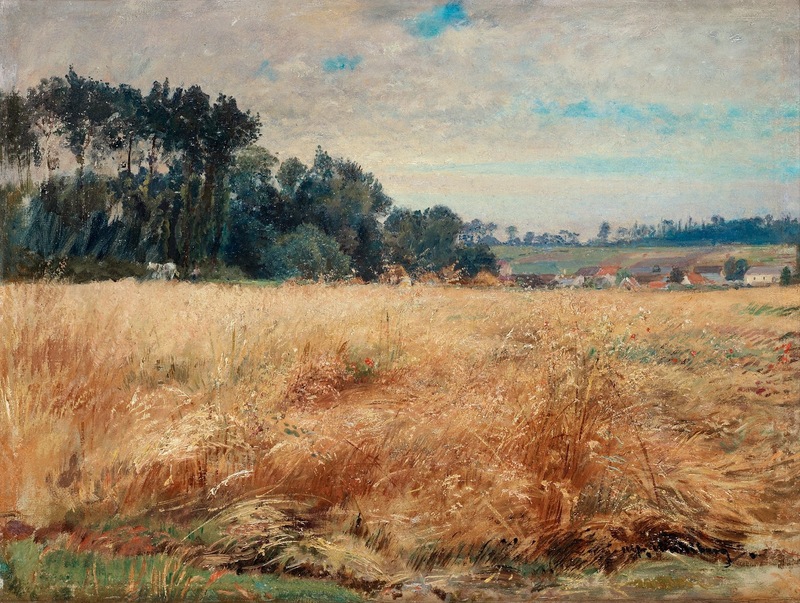 In 1857, Wahlberg moved to the Kunstakademie Düsseldorf in Germany to train. 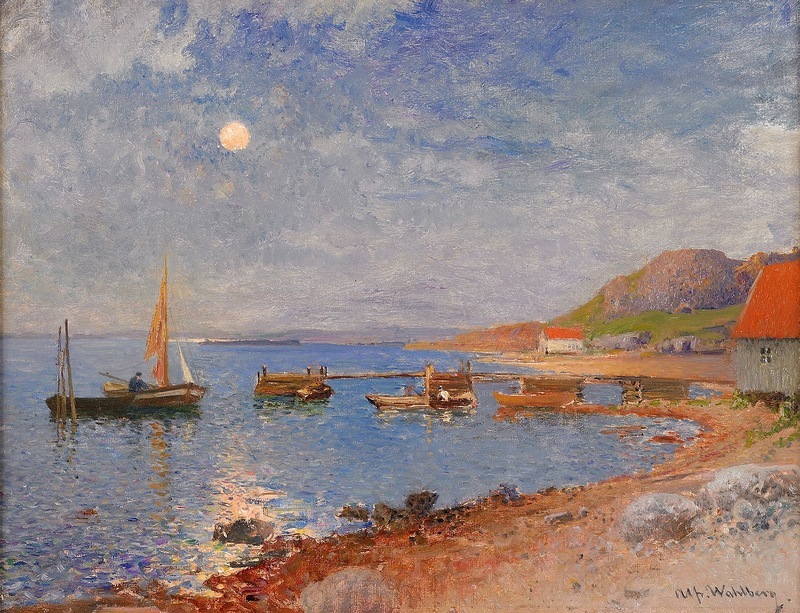 He was a student of Hans Fredrik Gude for a short time, but made most of his paintings on his own. 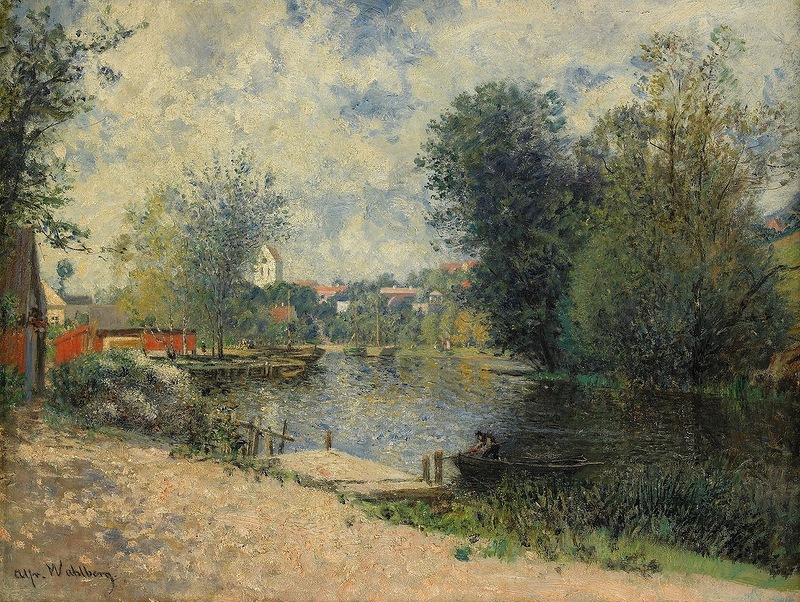 Wahlberg's paintings were sold either in Germany or to Konstföreningen in Sweden. 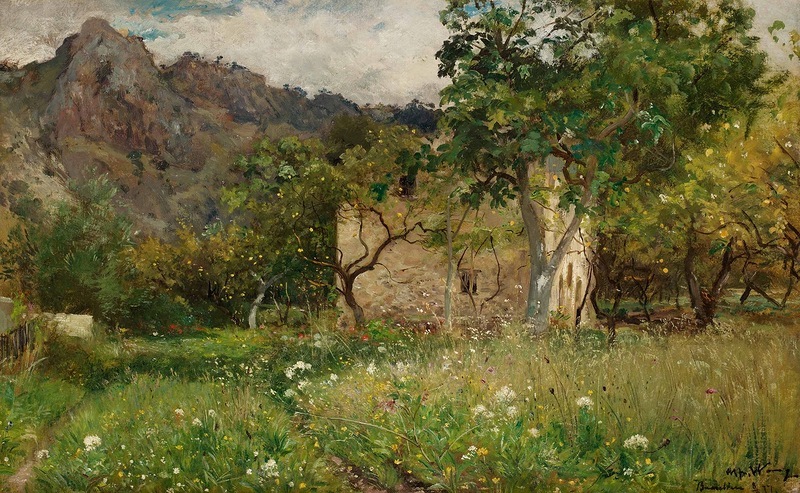 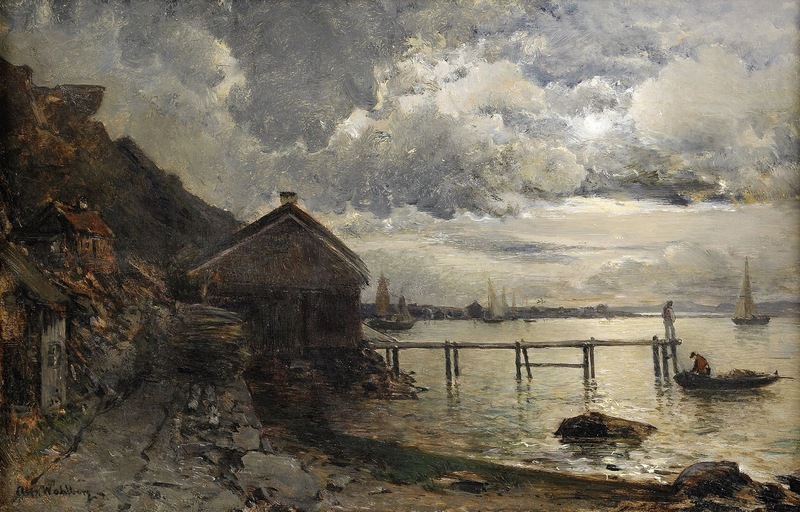 Before returning to Stockholm in 1862, he made a trip to the Netherlands and Belgium to further his art studies. 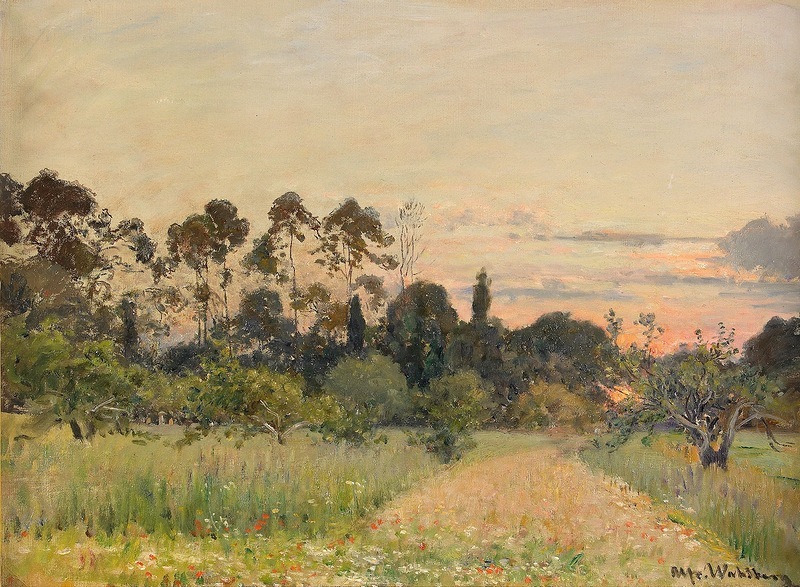 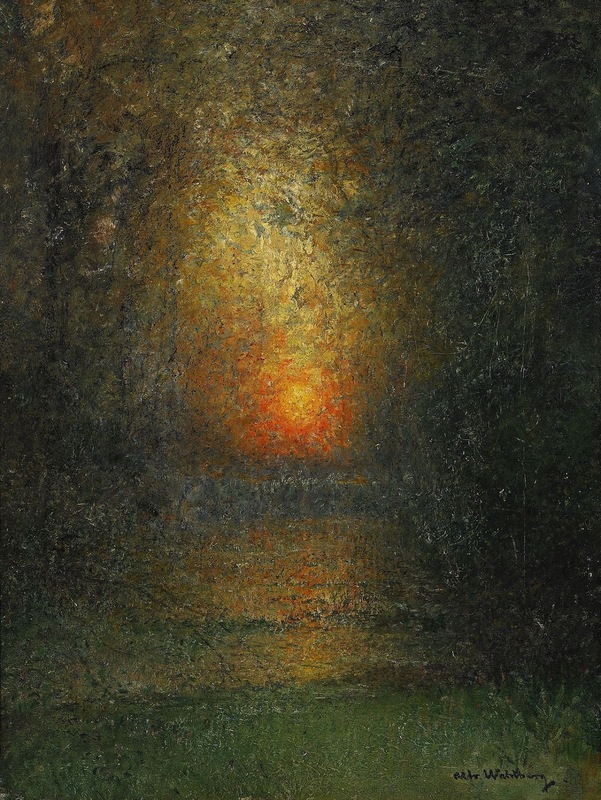 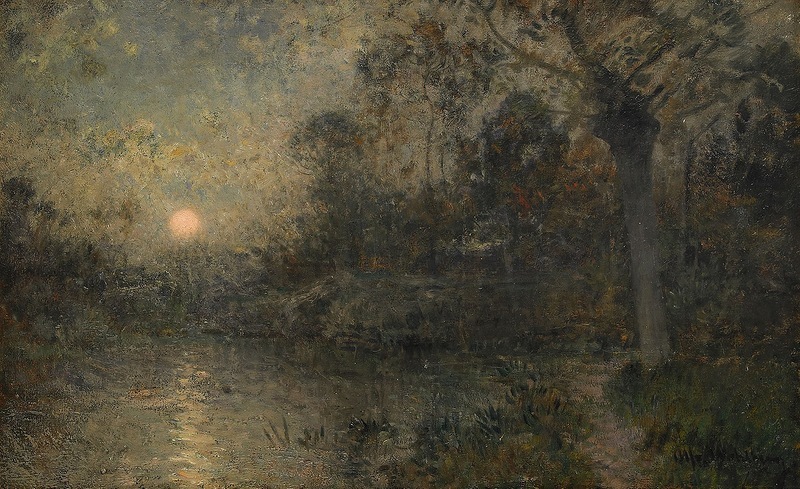 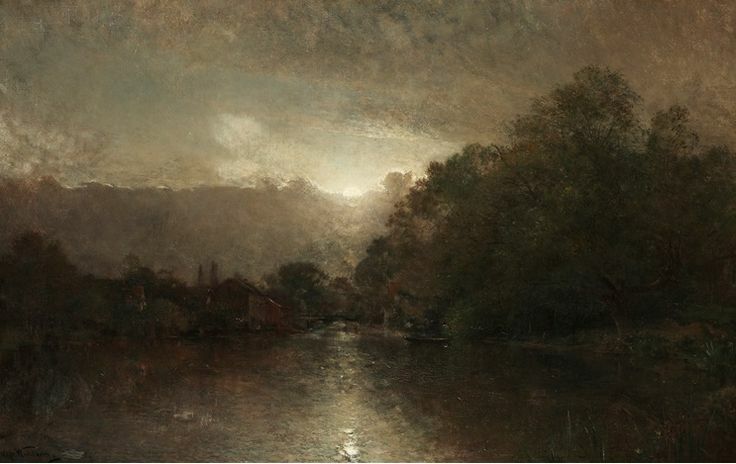 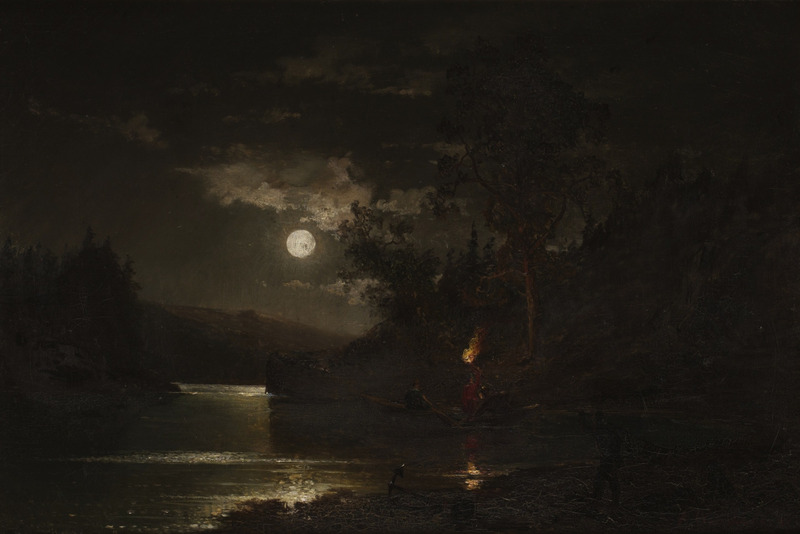 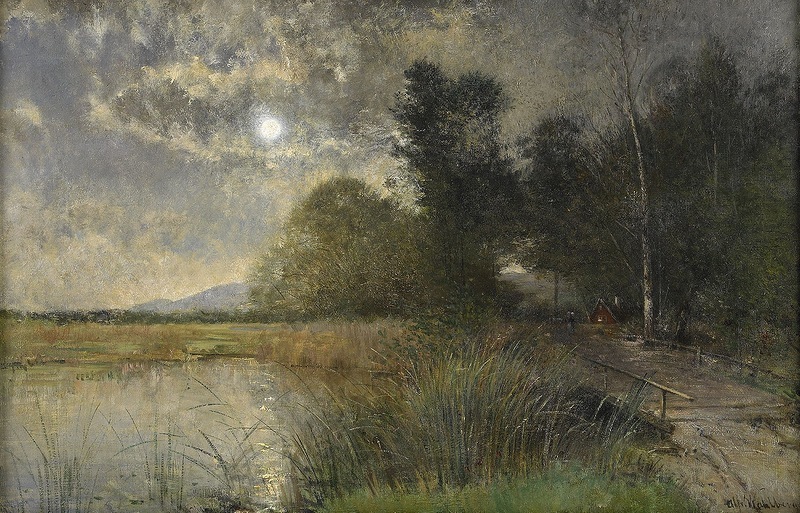 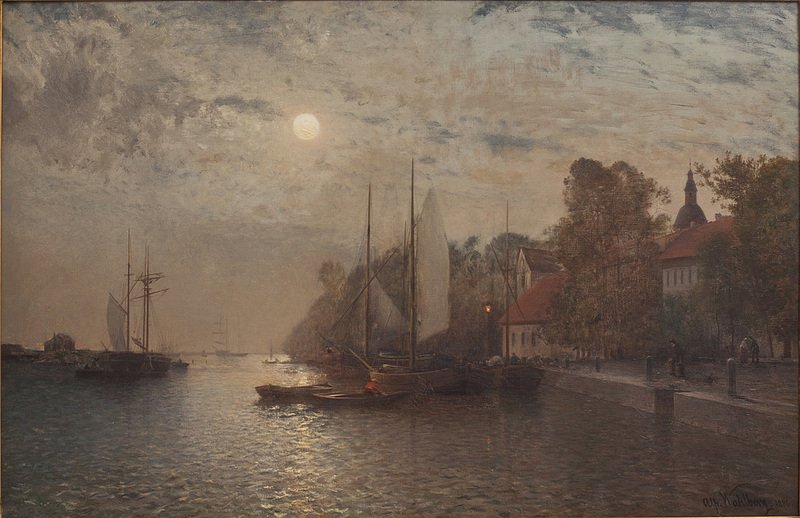 Wahlberg's fondness of romantic, dreaming, lyrical, and musical atmospheres is reflected in his paintings depicting the evening and the moonlight's play with tones and light. 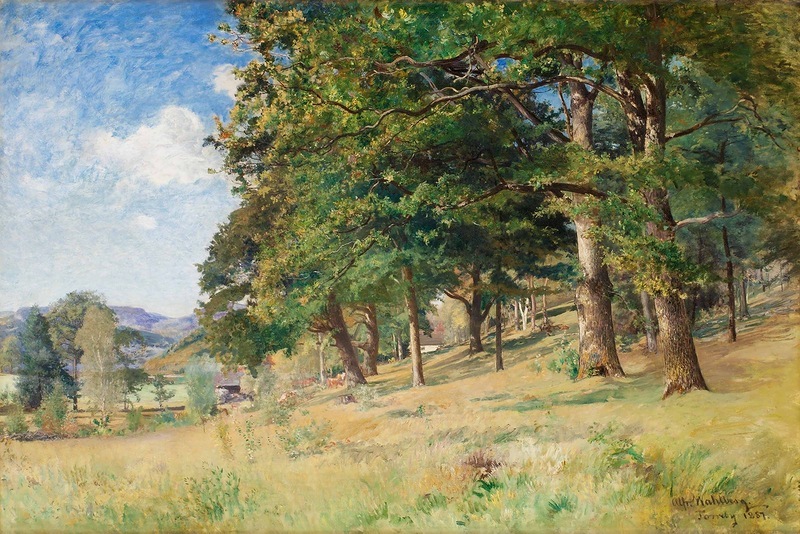 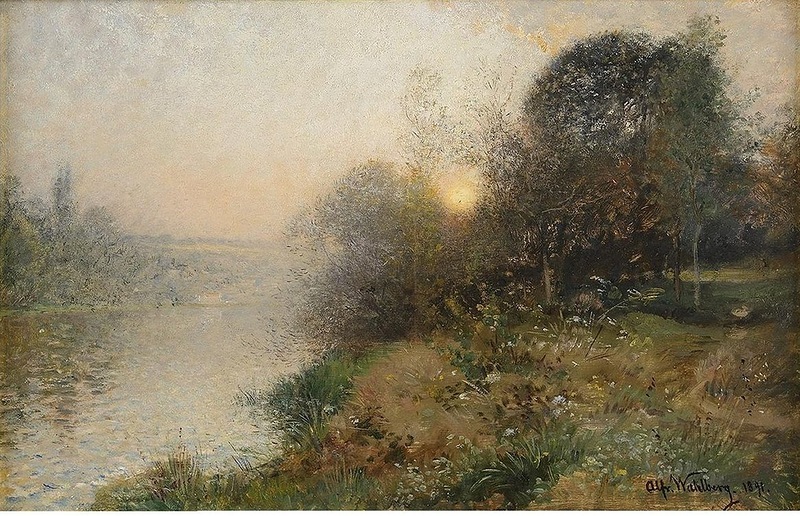 The most well-known paintings Wahlberg made while living in Düsseldorf are Solnedgång i Bohuslän and Vinterlandskap med björnjakt, both of which depict Swedish forest landscapes. 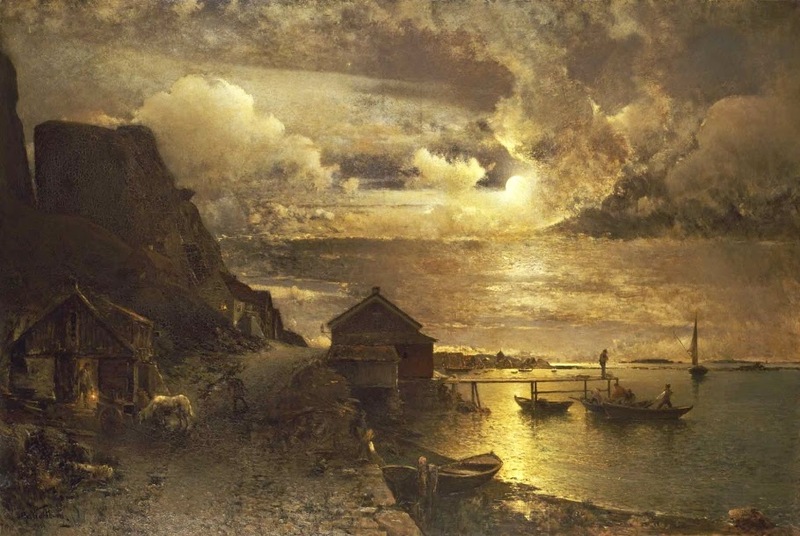 After his return to Stockholm in 1862, Wahlberg painted Storm på holländska kusten (1863), Fors i svensk obygd (largely influenced by Andreas Achenbach), Borgruinen Niedeck vid Rhen (1863), Skogsparti från Särö (1865), Hörningsholm i månsken (1866), and Svenskt insjölandskap från Kolmården (1866). 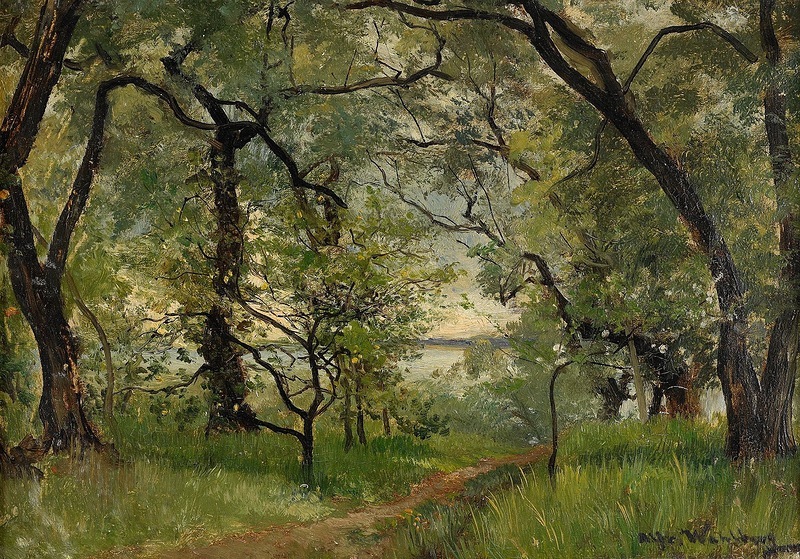 The later is a carefully composed view of an infinite forest (Kolmården), a lake, and a summersky. 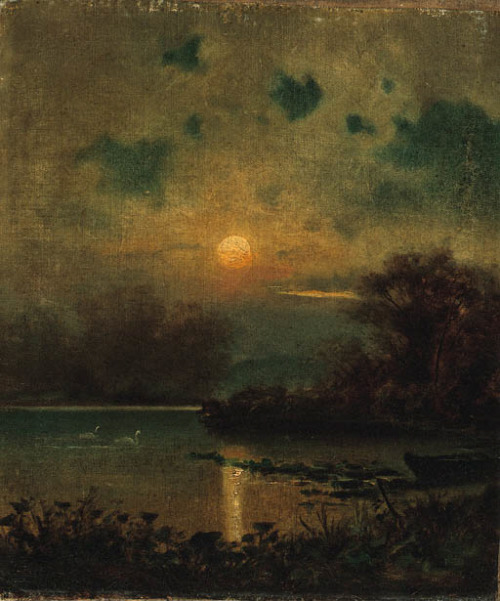 The evening sky and the moonlight is depicted in mild, melting colors. 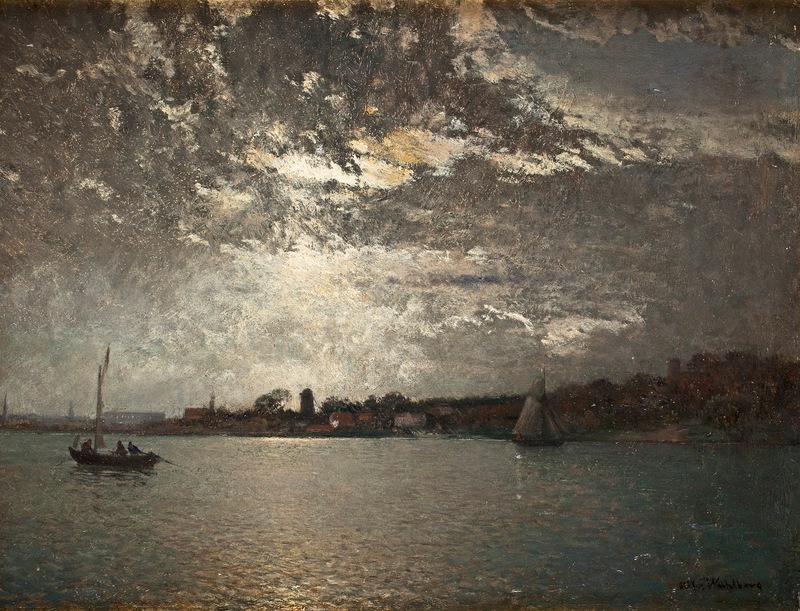 The painting became very famous and was displayed at the National Museum of Arts. 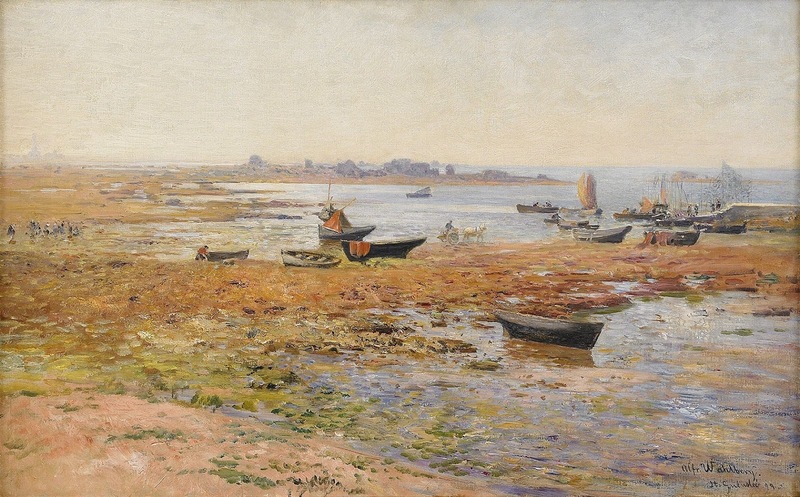 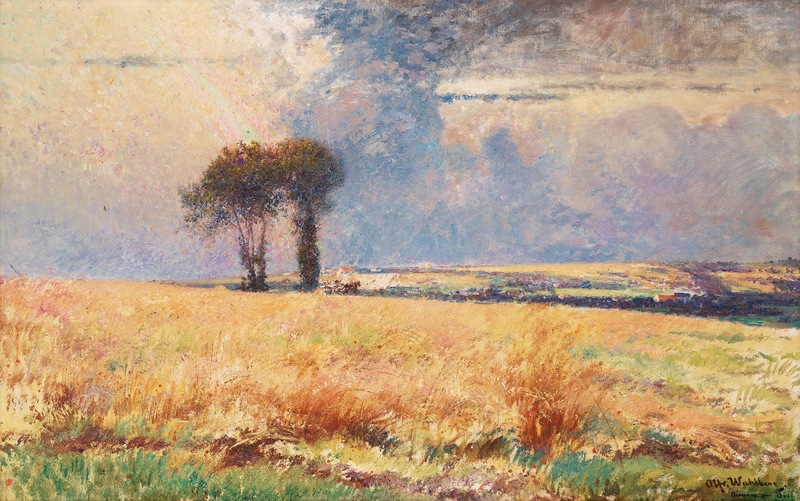 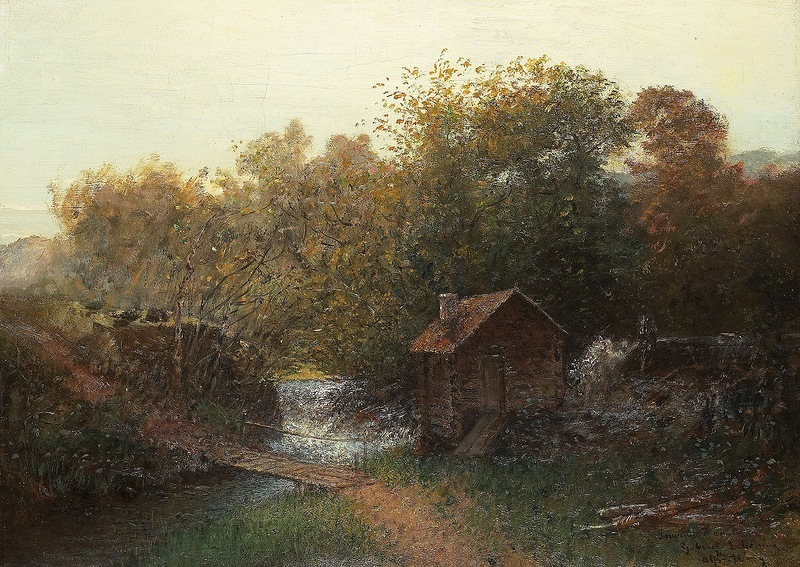 Although Wahlberg was still restricted by the limits of his technique, the painting was a large progress in his development as a painter. 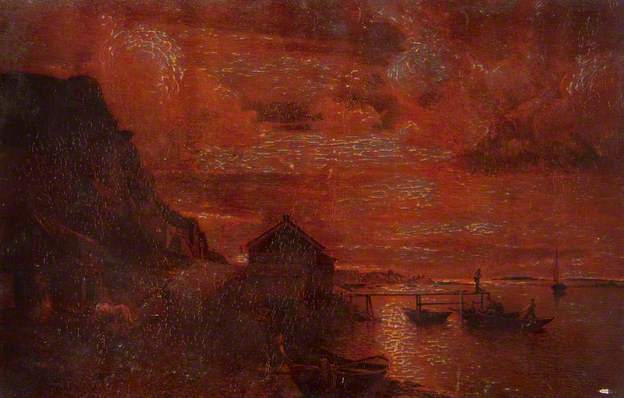 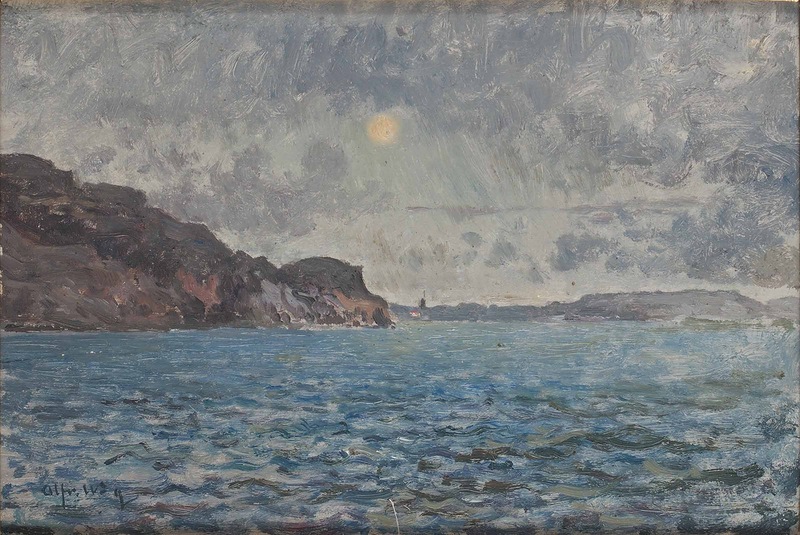 Wahlberg moved to Paris in 1866, and displayed two paintings at the 1868 Paris Salon-both depicting a fishing place in Bohuslän; one of them takes place during the night and one during a sunset. 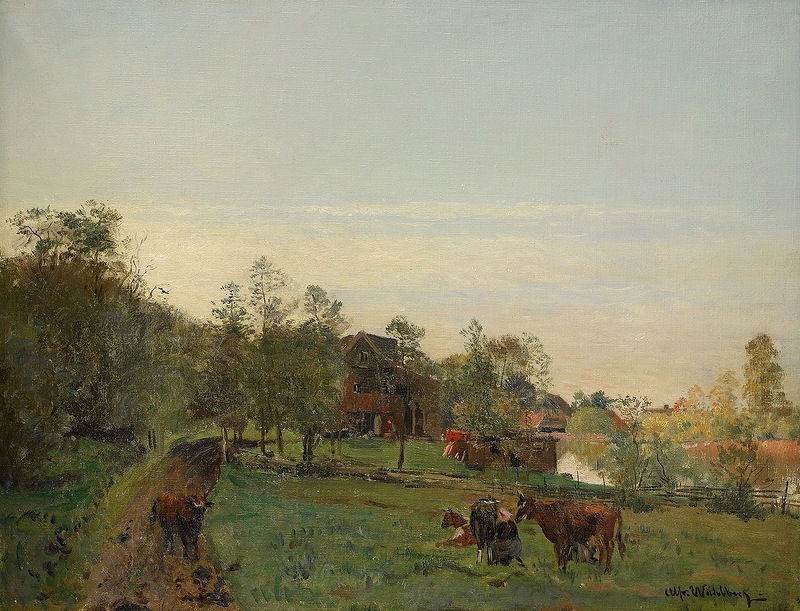 These two paintings mark Wahlberg's transition from a Düsseldorf technique to a then modern French technique. 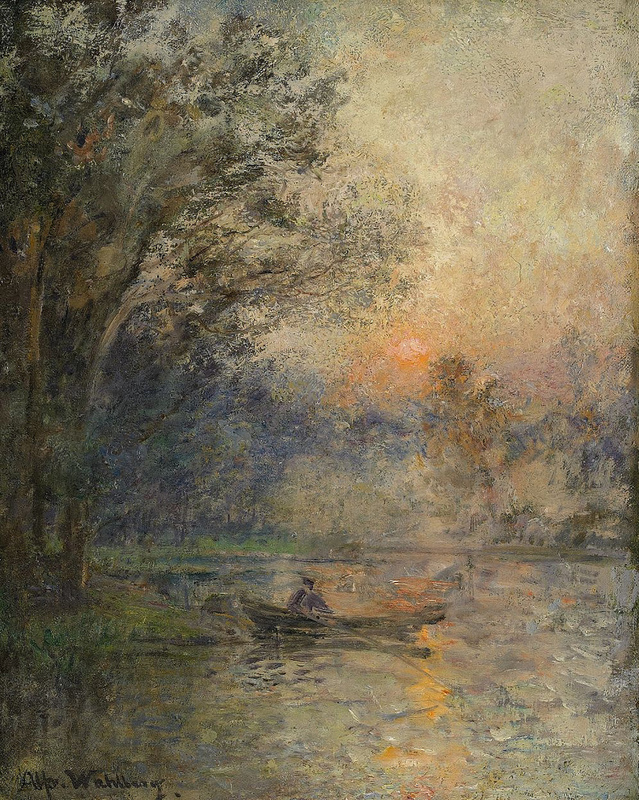 He learned by ease the French school's technique and approach to studies, without imitating the well-known French painters. 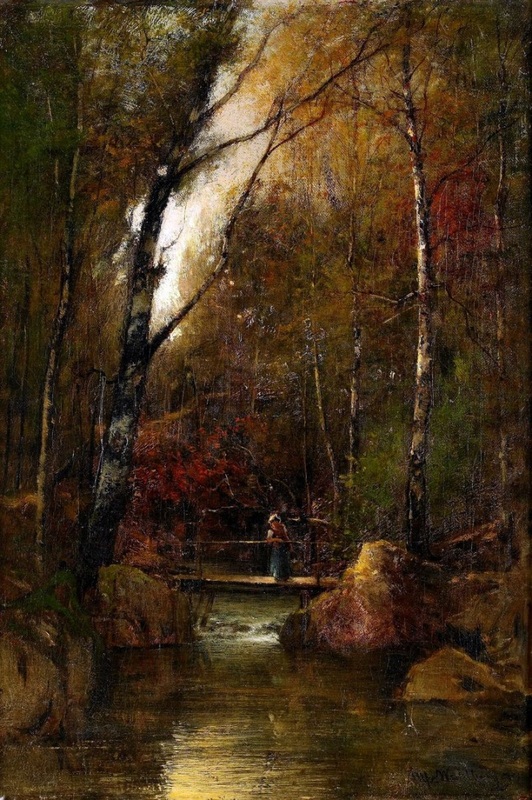 Wahlberg earned success and was awarded with medals at the Paris Salon in 1870 and 1872, and was credited for bringing the then modern techniques of landscape art to Sweden. 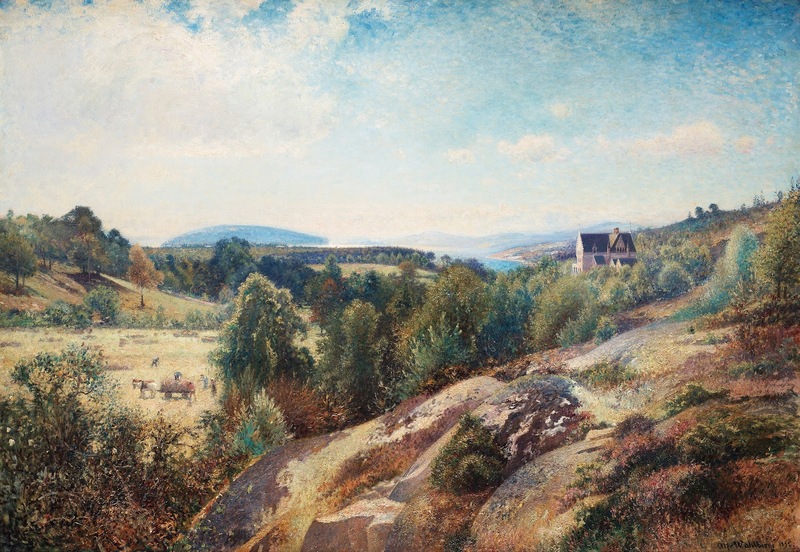 Almost every summer he made a short return to Sweden to study the nature in places such as Stockholm archipelago, Skåne, Halland, and Värmland. 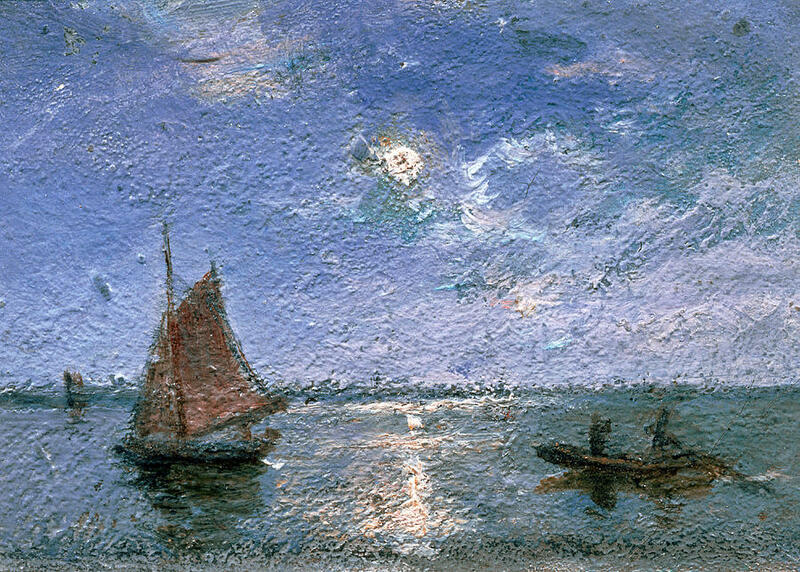 Fjällbacka (Moonlight, 1881) and Svensk björkhage (1882). 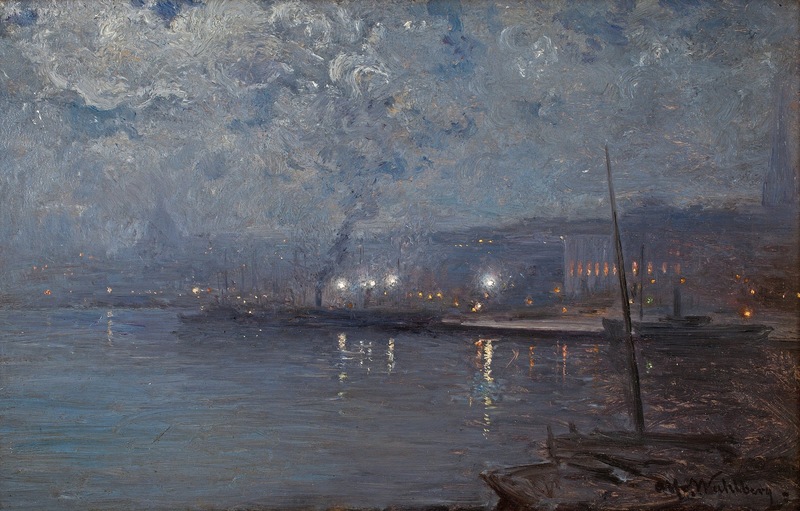 At the 1878 World's Fair in Paris, Wahlberg was recognized with a first class medal. 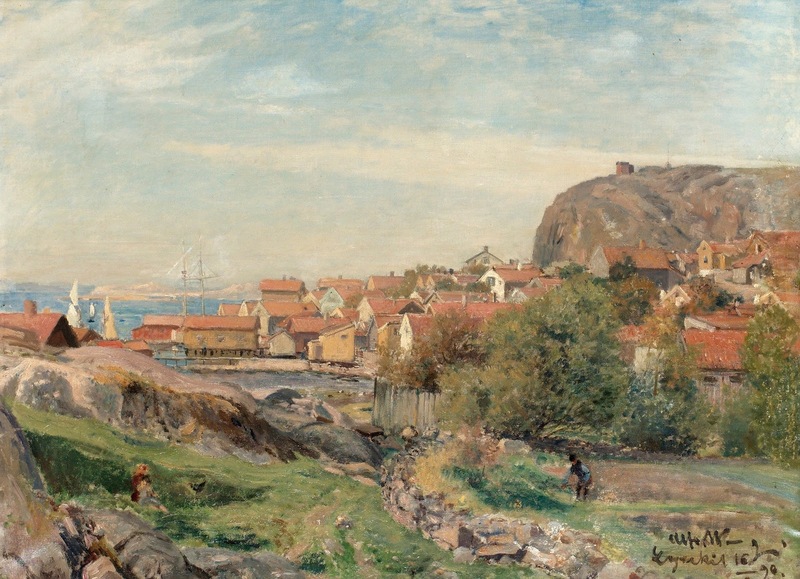 Wahlberg's work from the late 1880s and forward includes Stockholms ström (1888), Månsken på Hallands Väderö (1889), Oktobernatt (1893), Popplar (1893), Sol på snö i Marstrand (1901), and Svensk sommarnatt (1901). 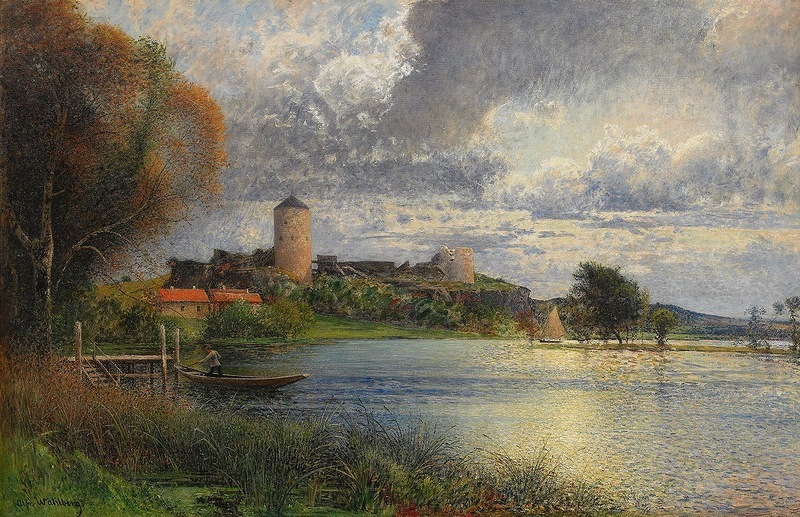 He died on 4 October 1906 in Tranås.